The Kershaw Corral Creek Wood Handle Knife 3115W is an ideal choice for everyday carrying. 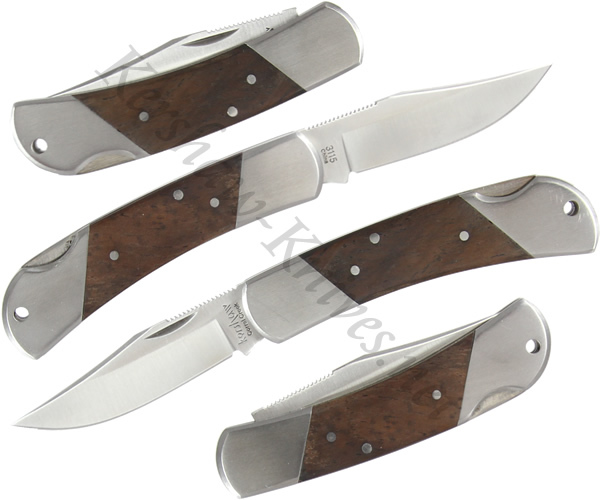 The blade is 8CR13MoV stainless steel with a satin polish that matches the handle bolsters. A hardwood inlay on the handle nicely finishes out this handsome design. The smaller, 2.5 inch blade length and traditional lockback of the Kershaw Corral Creek 3115W make it a reasonable knife for a variety of uses.